"Back to the Future" fans who missed out on the Wednesday sale of Pepsi Perfect will get a second shot at the cola next month. Eager fans were upset to find that some of the limited supply of the soda that first appeared in the 1989 movie "Back to the Future II" was sold before the midnight Tuesday embargo. A Pepsi spokesperson said the company will sell another batch of 6,500 bottles on Nov. 3 at 9 am ET. The company plans to sell the new batch at shop.pepsi.com. Originally, Pepsi (PEP) said it would release 6,500 bottles of Pepsi Perfect to fans in the U.S. on Wednesday. But some fans said they were unable to buy the soda, leading to outrage on social media. 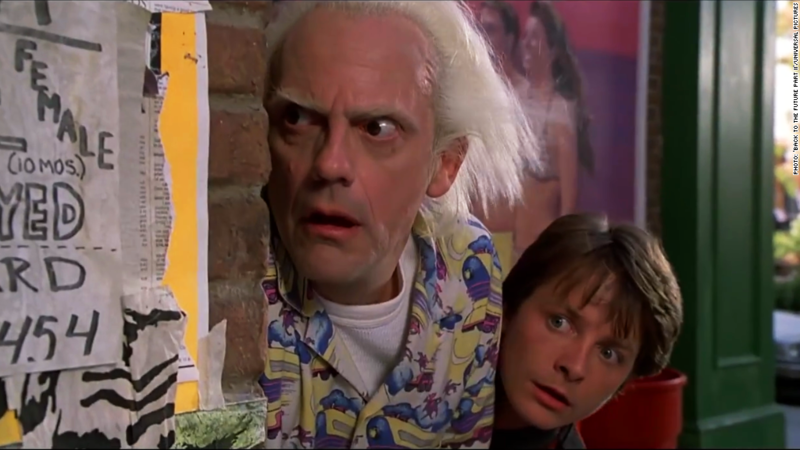 The soda was featured in the 1989 film "Back to the Future Part 2," a story that transported characters Marty McFly and Dr. Emmet Brown to Oct. 21, 2015. The collectible "Pepsi Perfect" was selling for $20.15 -- Marty and Doc arrived in the year 2015 -- and featured the same 16.9 ounce bottle that McFly orders at Hill Valley's futuristic "Café 80's." Pepsi said in a statement that a glitch caused a small amount of Pepsi Perfect to go on sale early. "As sometimes happens when going Back to the Future, a glitch caused a small amount of Pepsi Perfect to go on sale earlier than we intended. We will deliver on our promise to fans, and the rest will go on sale as planned," a spokesperson said. Some reviewers on Amazon (AMZN), which also sold the beverage, were unhappy with the situation. "Not happy with the release," wrote reviewer JacquelineS. "What's the point in all the hype just to disappoint customers and fans?" "Stayed up hoping I could snag one at MIDNIGHT...even after following them on twitter and trying every link....seems like these were sold out before anyone could actually buy them..very disappointing. Looks like I will continue to NOT drink pepsi," wrote reviewer Tyler.